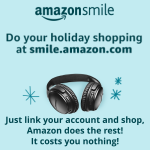 Christmas Shopping for a Cause! One of our local businesses, Pearl’s Spa, set up this wonderful fundraiser during their recent open house, and it has been extended through the holiday season. One Hope Wines is a Napa Valley winery that donates proceeds from every bottle & gift set to various causes, depending on the wine or gift set. To date they have made more than $2 million in donations, providing over 2,600 clinical trials for cancer patients, 13,000 forever homes for shelter animals, 1.1 million meals for children, 33,000 life-saving vaccines and much more. When you purchase a GIFT SET or a CASE FOR A CAUSE (30% off of MSRP) through the link below, not only does the charity on the bottle receive a donation, we will receive 10% of the proceeds! Gift sets start at $49.99 plus shipping and they have something for every occasion as well as non-alcoholic sets. This can take the stress out of your personal and corporate holiday shopping this year! Shopping must be done through the link below to qualify! Please keep Pearl’s Spa, and our other local businesses, in mind while doing your Christmas Shopping. These businesses do so much to support us. Note: Someone 21 years or older must be at the delivery address to sign for the order.